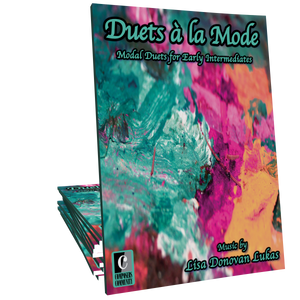 Sleeping Beauty Waltz, by Pyotr Ilyich Tchaikovsky, arranged by Lisa Donovan Lukas for solo piano, is a delightful, lyrical showcase piece for the intermediate pianist. Makes me want to dance! The intro really sets the mood and then we're off to the Waltz. Just lovely and that cover art is perfect.